The smallest member of the rorqual family, the gorgeous minke whale is one of the species most severely affected by the whaling industry. Despite its name, the common minke whale is, in fact, not so common. Originally believed to have been one species, scientists now recognise at least two different species and sub-species of these little whales. 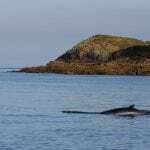 What do minke whales look like? The common minke whale is the smallest of all baleen whales, reaching around 8 to 9 metres long. Their sleek, dark bodies parade black, dark brown and grey tones with a lighter belly that flashes through the water. Long, pointed snouts and straight mouths create an endearing frown, whilst atop their flat, ridged heads they have not one but two blowholes. Setting them apart from their southern cousins, one of the most fascinating traits of minke whales in the northern hemisphere are the white ‘armbands’ around their flippers. 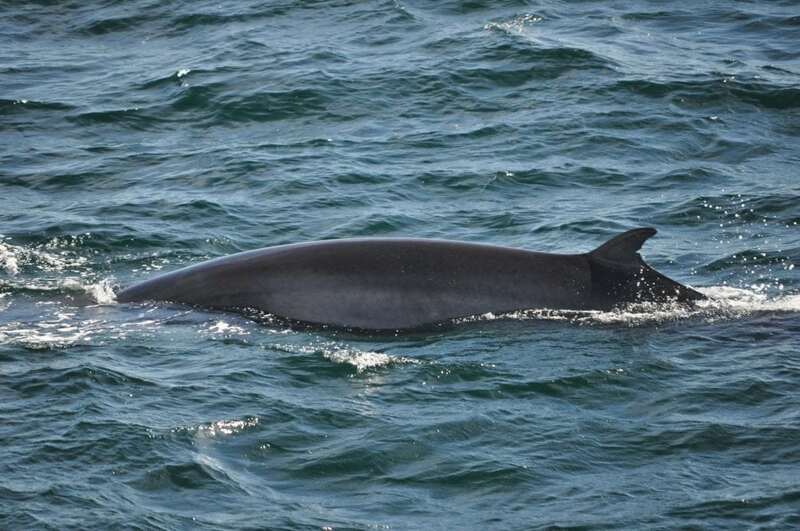 Common minke whales have between 50 and 70 expandable pleats that run from their throats to their flippers. These pleats expand to take in huge mouthfuls of water and fish that are then sieved through the whales’ baleen plates. Around 20 to 30cm long, the plates hang down from the whale’s upper jaws like a thick-bristled brush and allow them to ingest the food they need. What’s life like for a minke whale? 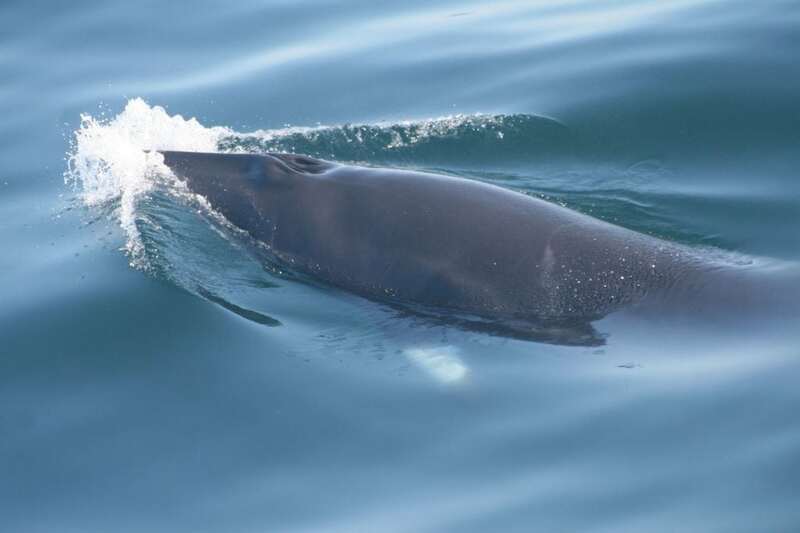 Although it’s not unusual for several individuals to be found in close proximity to each other on feeding grounds, such as the Gulf of Maine or west coast of Scotland, minke whales are content in their own company and tend to be quite solitary. Relatively fast swimmers, they are not ones for showmanship and keep their acrobatic skills largely to themselves, only occasionally breaching and spyhopping. 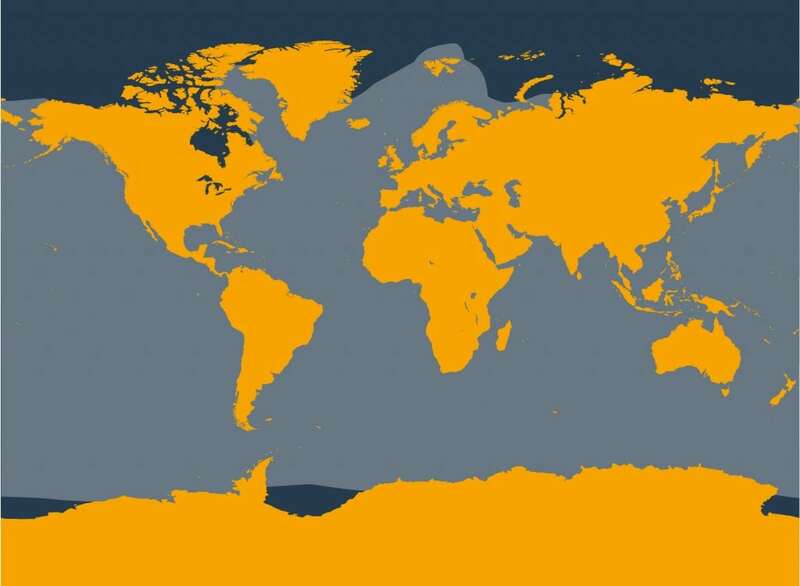 Where do minke whales live? Common minke whales and are found in oceans all over the world. They prefer cooler temperatures, are frequently seen in coastal and inshore waters and are less common in tropical waters. During the winter they typically travel toward warmer waters to breed and in summer move closer to colder waters near the poles to feed. What do minke whales eat? 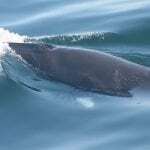 Common minke whales enjoy a varied diet, happily eating krill, schooling fish and larger fish too. Unfortunately, in a bid to support culls, whalers have perpetuated myths that minkes are responsible for the decline in worldwide fish stocks. 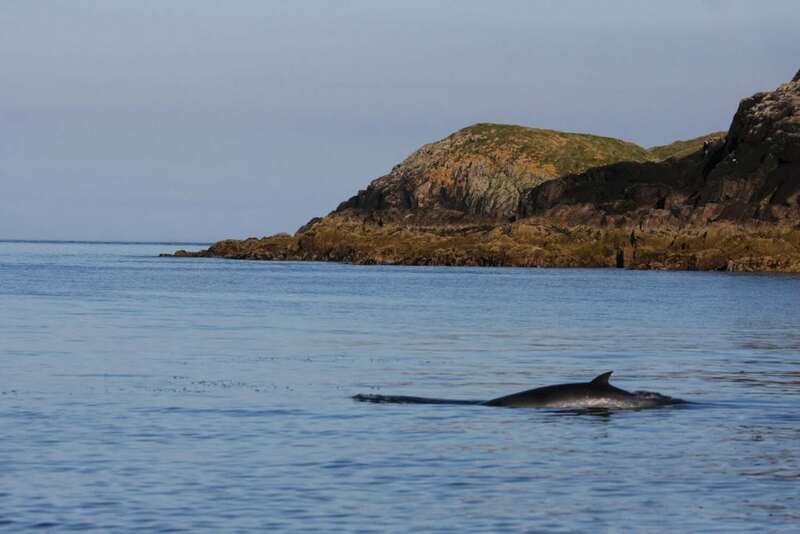 Whilst in reality the impact minke whales have on fish stocks pales into insignificance compared to the dramatic and devastating effects of industrial fishing practices, these claims have had severe consequences for minke whale populations. 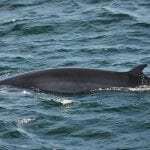 How do you identify a minke whale? As unique as your fingerprints, every minke whale has distinctive pigmentation. Taking pictures of both their dorsal fins and backs, researchers can clearly identify individuals. Until recently it was thought that all minke whales were part of the same species. However, in recent years enough evidence has come to light to suggest otherwise. According to researchers, minke whales living around Antarctica are sufficiently different to their cousins to be separated into a species of their own. More recently still, researchers off eastern Australia have identified a further possible dwarf sub-species. These dwarf minke whales are much smaller, more sociable and live in groups. Highly inquisitive individuals, they will also come up close to researchers’ boats to suss out their new visitors! After excessive exploitation led to the near-extinction of all the great whales, whalers quickly turned their attention to a new target: minke whales. So far, estimates suggest that nearly 300,000 have been killed, whilst Japan, Iceland and Norway continue to kill around a thousand each year. The results of these hunts are disastrous, with the indiscriminate murders of pregnant females seriously comprising the future of these magical creatures. 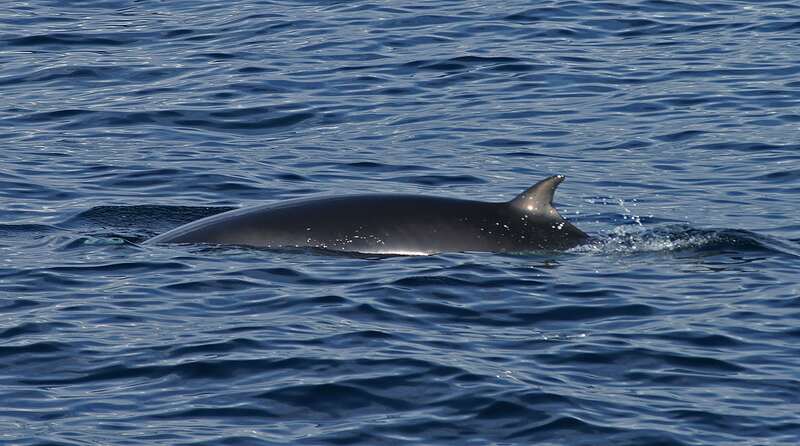 Minke whales are the main targets for the hunters’ harpoons. Join WDC in our fight to end whaling. Whaling – several countries still hunt and kill common minke whales, including Japan, Norway, Iceland and Greenland. Pollution – toxic chemicals from plastics, litter and oil spills build up in common minke whales, seriously harming their health and their ability to have young. Fishing nets and gear – common minke whales get accidentally caught in fishing nets and lines, injuring or even killing them. By adopting a whale or dolphin, by making a donation, or by fundraising for WDC, you can help us provide a safe future for minke whales.